The majestic Basswood tree (Tilia americana) begins to cast out thousands of cream colored blossoms in late June. 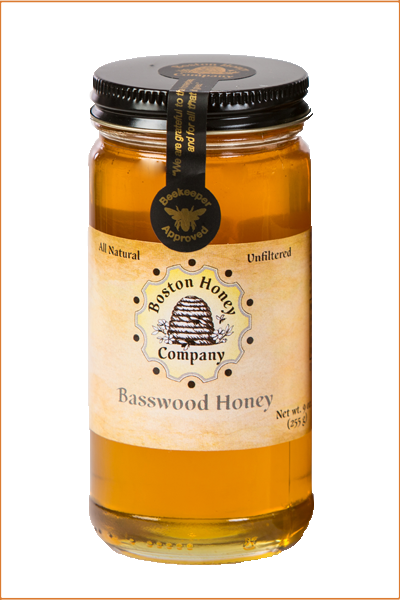 Basswood honey has a distinctive biting flavor with a minty lasting finish that goes well with teas, salad dressings, and many recipes. I whisk this one into my homemade yogurt for a touch of sweetness. It's one of those each thing elevates the other combos.